Going into this book, I had low expectations. 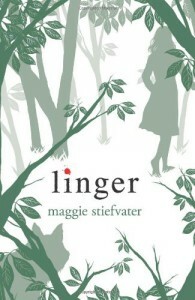 It seemed like so many preferred book 1 (Shiver) to its sequel, and part of me almost dreaded picking this installment up.What made Linger better for me was not just the addition of a new and intriguing character named Cole, but also the fact that there was less "filler" in this book. I didn't have to skim through pages of Sam and Grace sitting in the car, laying in her bed, sitting around drinking some sort of hot drink, etc.I actually liked the new twist on Sam and Grace's relationship that occured near the end of the book and can only imagine how much everyone's lives are going to change in book 3.